At the close of a year in which the industry weathered global economic storms and tragic natural disasters, we’re happy to report a little good news: After prices for cerium oxide and other rare-earth elements climbed to stratospheric levels over the past three years, a fall back to Earth may be under way. Prices started soaring in June 2010 due in part to a clampdown on Chinese export quota, said UK-based Roskill, a metals and minerals consultancy, in mid-November. “Between May 2010 and August 2011, the FOB China price for cerium oxide increased by nearly 3000 percent,” said Roskill, adding that a downward correction to the prices for all rare-earth oxides was visible by the fourth quarter of 2011. There surely will be continued fluctuations in pricing as new sources come online and changes take hold, but the current drop is bringing some relief, however temporary. Industry group APOMA (American Precision Optics Manufacturers Association) will address the situation at a meeting to be held during SPIE Photonics West in January. More information can be found at www.apoma.com. 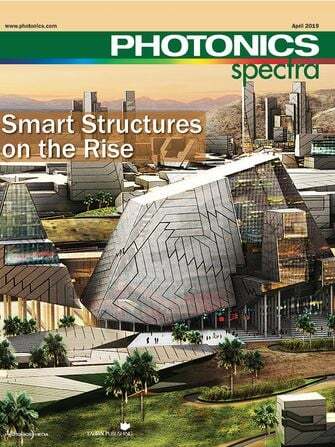 We have plenty of good and useful news in this final 2011 issue of Photonics Spectra, too. In our cover story, “Terahertz Computed Tomography Helps ID Chemical Substances,” authors Anika Brahm, Andreas Tünnermann and their colleagues at the Fraunhofer Institute for Applied Optics and Precision Engineering suggest that terahertz CT holds promise for nondestructively examining materials by visualizing spatial information and distribution within a sample. In the article, which begins on page 40, the authors say the development of highly sensitive detectors, efficient radiation sources and fast acquisition techniques make this frequency range increasingly attractive for spectroscopy, imaging and tomography. Also in this issue, Dr. Matt Novak of Bruker Nano Surfaces Div. reports that not only has high-speed operation enabled the 3-D optical microscope to transition successfully from laboratory instrument to frontline industrial tool, but also that recent developments in the core technology have dramatically improved the X-Y resolution of these versatile areal measurement systems. Read the article, “3-D Optical Microscopy Expands Applications,” beginning on page 55. Other feature articles this month explore timely advances in the thin-film solar cells (page 44), quantum cascade lasers for mid-IR spectrocsopy (page 48), and considerations for vibration-isolation platforms (page 52). Photonics Spectra editors are at work on the January issue, which will include our annual industry “trends” roundup as well as coverage of the Prism Awards finalists. For daily updates on industry news, visit www.photonics.com.